Context makes you see things differently and guides how we perceive the world and how we react to it. This interdisciplinary research programme is looking at context in terms of algorithms used by computers and the way these make decisions in real-world applications. The programme combines research into the role of context in human behaviour with computational and machine learning. The group is hoping to develop an algorithm that takes account of context when processing primary data to address real-world problems. Novel ways and areas of using such an algorithm were discussed and examples of these include medical applications, investment decision making and dementia research. The research programme will work towards forming cross-faculty, interdisciplinary collaborations in the hope of achieving ground breaking advances in this exciting area of science. 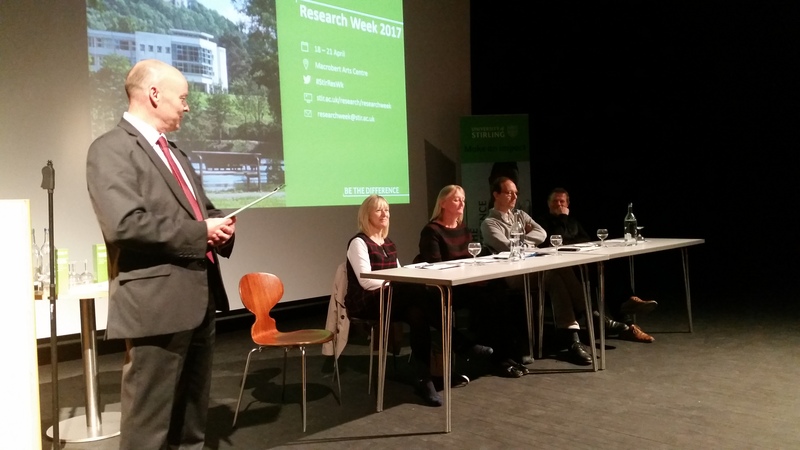 Chaired by our very own Dr John Rogers, Director of Research & Innovation, our Question Time session explored the experiences four of our researchers have of large collaborative research projects and through questions gathered a number of top tips for others to Think Big and Think Collaboratively. 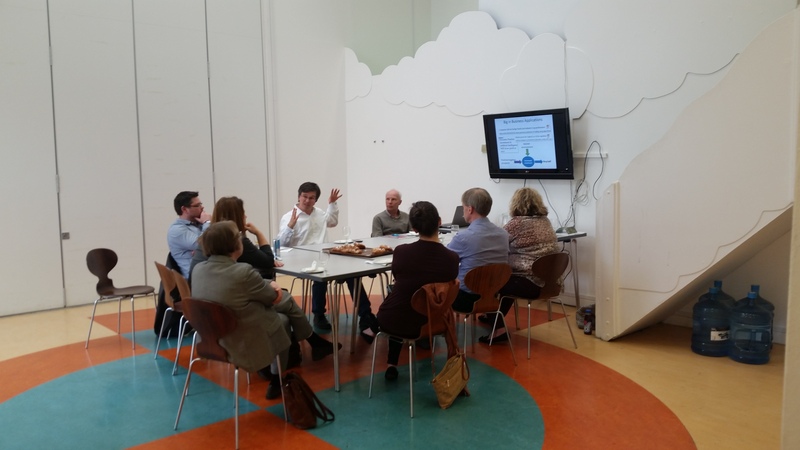 After a brief introduction to each of our panel member’s research, they were posed questions on their experiences, including the benefits of being part of large collaborative bids, as well as the challenges and issues that can crop up. The session led by our hosts the Macrobert Arts Centre explored how the ideas and understanding of researchers can change the work of artists and be carried out into the world through the artworks they create. Julie Ellen, Artistic Director, opened the session sharing examples of how the Macrobert is fulfilling its statement of purpose to Make Active Connections with People, Communities and Ideas for Entertainment, Well Being and Understanding. 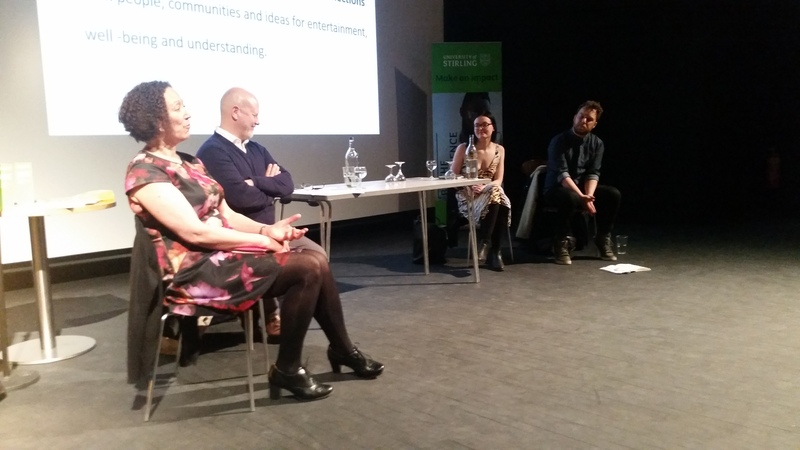 The audience then heard from guest artists include Stuart Mullins, Stephanie Hunter and Oliver Emanuel about how their work has brought artists and researchers together in quite different ways. Stuart Mullins described his recent projects connecting researchers and artists. Stephanie shared her experience as Producer of SHRIMP DANCE due to the sheer number of humans taking antidepressants, and eliminating them through sewage, prozac levels in the seas are so high that shrimp are abandoning their natural shadowy habitat and swimming into the light where they are prone to be eaten by predators. The humans are so sad the shrimp are going crazy. Oliver talked about how research has informed his work as a playwright. At the end of the session there was an opportunity for the audience of researchers to discuss how they would like to work with artists. Attendees left with a new realisation of possible exciting collaborations. 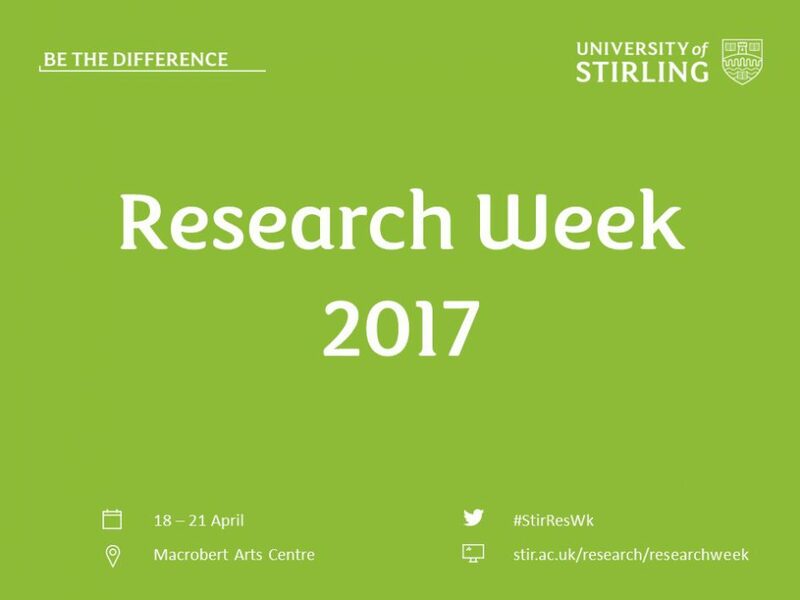 Our last and final day of Research Week – despite the nervous energy we experienced as Research Week kicked off, we were really sad to see the week come to a close. It was so exciting and encouraging to hear the discussions and potential for research collaborations taking place across the week. Research Policy Officer interested in research integrity and governance, translating research into policy and practice and improving research communication.